David Ackel entered the world of auctioning, as a second generation auctioneer, at the age of 15 when his father, Mike Ackel, opened the first auction company in Monroe, LA. David served in the auction company as a ringman and as a back- up auctioneer. Following in his father’s footsteps, David went on to become the 1999 Louisiana State Champion Auctioneer. David earned his Master’s Degree from the University of Louisiana at Monroe in 1998. Since then, he has had the opportunity to work in the Private Client Services division for Fortune 500 financial institutions such as Well Fargo, Wachovia, and Capital One as a Chartered Retirement Planning Counselor to affluent investors. 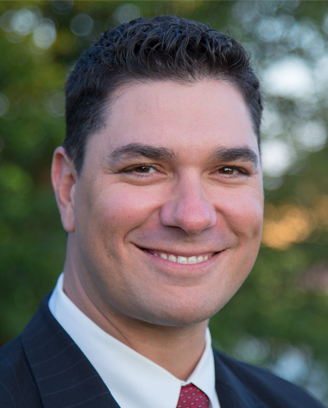 In 2004, David and his family moved to Austin, TX where he earned his Texas Real Estate license in order to better serve his clients overall needs. He actively partners with Auction.com, the nation’s leading online real estate marketplace, to provide ongoing auction services. He serves as substitute trustee during the foreclosure auction process for several multi-national banks & lenders. In addition, he serves non-profit organizations throughout Texas and Louisiana as a Live Auction consultant and auctioneer for organizations such as First Tee Austin, Dell Children’s Hospital, Coastal Conservation Association, Austin Boys and Girls Club and many other churches and groups. James L. Willmann began working as a Professional Ringman and Auctioneer with David Ackel Auctions in 2009. He is a licensed Texas Auctioneer and a graduate of the McLennan College Auction Academy in Waco, TX. After serving several years as a Medic in the U.S. Army, Sergeant Willmann brings his experience of working in a fast paced, highly volatile environment to help liven up the Auction crowd and generate additional Bidding Action. His intuitive ability to focus on bidder’s “non-verbal” buying signals, along with his natural salesmanship, sets him apart from any other Professional Bid Spotter & Auctioneer I have had the pleasure of working with. He serves as a Live Auction consultant and auctioneer for several non-profit organizations throughout Texas such as Veteran Outdoors, American Cancer Society, Texas Military Institute, San Antonio Academy, and many other churches and groups. James was born and raised in San Antonio, TX and his lovely wife, Autumn, have two daughters and live in Cedar Park, TX.